Hello everyone. Welcome to another edition of Author Talk and Rising Light media where we interview some of the most fascinating religious and spiritual authors in the world. Today our guest is Courtney Hall Lee. Courtney Hall Lee is an independent scholar in Charlotte, North Carolina. She's an attorney turned writer and Courtney earned her AB in English from Dartmouth College, in Hanover, New Hampshire and a JD from Case Western Reserve School of Law in Cleveland, Ohio. This is Courtney's first book and is called Black Madonna, a Womanist look at Mary of Nazareth. This book began to bubble up out of her graduate studies at Hartford Theological Seminary and her young daughter's year spent as a Protestant child in a Catholic school. Welcome to Author Talk Courtney. Thank you for taking time out of your busy day to talk about your new book, Black Madonna. Courtney, we're in the Christmas season which is fun, which celebrates the birth of Jesus but whenever we conjure up the nativity scene in our minds, we're inexorably drawn and forced to picture the mother of Jesus, the Madonna. Who is venerated most especially by the Catholic Church. She's traditionally pictured in the West and you mention this as a white young woman in a light blue dress, adoring the newborn baby Messiah, right? That's the idea that we see in the little statues around the Catholic churches in our towns. Yes, exactly. Especially Catholic. They have that picture. The title of your book however, is Black Madonna and the subtitle of your book is A Womanist Look at Mary of Nazareth. As I began to read your book I was drawn to the dichotomy and the variety of all these various Mary's throughout history. The iconic Mary, the historical Mary, the black Mary, etc. I was first pulled one way and then another in your book, as you go through these various pictures of what her reality was. Probably a poor peasant woman who was certainly not white, and might have been raped. At least that was a rumor spread even in Jesus' own time among his detractors and that might or might not have been true. So, before we delve in deeper into the picture of this woman, help me to understand your trip through this maze of sometimes opposing pictures of this young woman, perhaps barely in her teens, named Mary. Right, and I think that what you mentioned, all of the different Mary's that we see, but the dominant image being the very white Mary in the blue dress who is very virginal is what struck me as something that for myself and for a lot of other women, especially African-American women, I just couldn't relate to it. It's not realistic and it wasn't something that I could really grab onto and take something from in my faith. I think that for black women in particular, there's been such an emphasis on the relationship with Jesus and Jesus is always seen as a divine co-sufferer and so I think that at least in my church experience, we were always kind of pointed toward the cross which makes you kind of skip over the beginning of the story and Mary is just sort of a bit of an afterthought. The other reason I think that we might not talk about Mary too much in the black church is because we don't necessarily follow the liturgical calendar. I know some churches do. My husband went to a church that did, but advent itself was a new concept for me as an adult. It was during advent when I was attending a Presbyterian church that I first started even thinking about Mary. I kind of got that inkling about her in my mind as somebody who mattered and someone who I wanted to learn more about who she really was. Like you said, this would have been a young woman who was in a very controversial situation. She may have been raped. Where did the baby come from? That's a question that many people would honestly have. This sort of pie in the sky angelic white Mary, who was she really, when you kind of put those two polar things together? That's what I was trying to figure out with this book. Is there, is there really a big difference? Now you've been to both sides, in predominantly white and black churches, Catholic and Protestant. Is there a major difference in how we look at the Madonna in these two communities? I think there is. I think that in white Protestant churches as well as in the black church, that concept of the veneration and just her place there, the amount of space that she takes up, is not very substantial, I've found in both churches. However, I think in white Protestant churches, because they do still pay attention more to advent, to the calendar, to the story, at least she kind of shows up in that space. I would say on the other side, in the black church, I tend to think of her more around Easter, standing at the cross and watching Jesus die because that suffering and that redemption is, I think a big part of black theology, whereas white churches, that's where I'm more likely to see a Christmas pageant and some of those things that we traditionally think of as American church Christmas stuff, but in my experience, that's been at predominantly white churches. Well you mentioned your daughter went to Catholic school. Did you get a different view of the whole Mary experience? Did you ever get involved in it enough to see that? Absolutely. She went to the Catholic school, just from a number of different factors that landed her there. Catholic education wasn't something that I was seeking out, but when it came about, I said you know this can be interesting and we'll see how this goes. She was a second grader, so this was the class that was getting ready for their First Communion. They were getting plenty of religious instruction in their class and I found that her teacher used Mary a lot, I think as a comforting figure to the children. My daughter was afraid of the crucifix. We, as Protestants, never leave him up on the cross. That's not something that we've had around our home. That picture of the crucifix, that violence, really sort of scared my daughter and I think scared some of the other children, interestingly. I think because Mary, she's pictured as being young and pretty and alive, that's part of why they grabbed on to her as a figure, and for little kids, I think using a mother as a way to teach about faith, it just comes pretty naturally. I think for her, talking about a mom, talking about a woman and talking about that happier part of the Incarnation, having a new baby versus putting someone on the cross, was appealing to her as a young girl. That's interesting, isn't that. Where did we divert the Protestant emphasis from the immaculate conception and Mary? Was that a Luther thing during the Refermation? Do you know? How did we evolve away because it is so strong in the Catholic Church, the veneration of Mary? Yes, absolutely, and I know that Luther himself would have had a stronger tie to venerating Mary and some of the saints in his upbringing before he sort of made his big theological shift. With Luther himself, you see that tension and that evolution as his writings move along. For myself, a big part of my Protestant identity, and I think that as a child, what I call Protestant now, as a child I think it would have been more of an evangelical theology that I was raised with. Rejecting Mary was differentiating ourselves theologically from Catholics. That we don't do that. We don't do the prayer to saints. We don't do the Mary thing. We are all about a personal relationship with Jesus. For me, it's that that identity in a way, defined itself by pushing her away. You know, you can't see me over the phone, but I'm grinning because I was raised Episcopalian and if I think I took anything out of confirmation class, other than Episcopalians think they're just better dressed Catholics, it was the difference in the worship of Mary. And, you reminded me. If I go to a Catholic Church, I will see the suffering Jesus on the cross, but not in Protestant churches, generally. No. They always say Catholics leave him up there, and we like to let him come down. We have that plain cross. That is something that I think Catholics and Catholic children in the school are taught to have to grapple with. You know, I think that sometimes children's church in ministry can have a very sanitized version of the resurrection story. It's interesting that that image is so central to our faith, yet it does have violence in it and it can freak kids out. I get it. I get it too. Your book is entitled Black Madonna and how black women see Mary. First what do you mean by Black Madonna, and secondly what are black women's views about the mother of Jesus, as you trying to summarize this whole thing. Is it a uniform vision, in the black churches? What do you mean by Black Madonna? Well I came to the term from the more traditional use of Black Madonna, which is based on some of the icons around the world who show a darker Madonna or a bronze/black-skinned Madonna. I'm honestly not an expert on that aspect of icons and things like that but that's where the term first came to me. I always thought it was interesting because though they talked about those Madonnas as Black Madonnas, it wasn't what I as someone who calls myself a black woman, would think of as a Black Madonna. So that came into my head. Well, for me, what is a Black Madonna? If she were black the way that I call myself Black? I found that if there is a white Madonna, we see a lot of her, that there could be a black Madonna, that perhaps I can take something from. For myself, it's being able to relate to her in the ways that my womanhood has been defined, my motherhood has been defined and my faith has been defined as a black woman. For me I can't separate that from anything else. I think in part that's what the term Womanism is about. Some people say that they've had to try to fit themselves into figuring out what type of feminist they are but Womanism is something that we just wear sort of naturally. That's what moved me to want to take this womanist look at her and see how it works. As for black women at large and how they feel about her, it's not something that I had really discussed with other black women, before coming up with this idea. I would say there's very little sort of consensus or general thought about her. I think that if you talk to most black women, that they, you know that the incarnation is important to them, and so the virgin birth is an important factor of that, but I don't know that pondering Mary or any sort of relationship with Mary has been something that black women have spent a substantial amount of time on, at least not for myself. Other biblical women, I think that Sarah for instance and Ruth in the Old Testament, that the black church theology has sometimes grabbed on to sort of equating ourselves with the Hebrews and the Jews in the Old Testament with being a people in exile. For whatever reason, those matriarchs are people that I hear about more. But Mary has been strangely absent for me in the black church, which is part of the reason that I wanted to write this book. In the black church, is the role of the woman different than perhaps in a white church? You've been to both. Is it a more prominent position? Or is the male position dominant in a black church? I know these are generalities but maybe you can talk to that? Right. Yes, it's interesting because to this day, and I believe it's been this way for decades. If you go into a black church, you're going to probably see more female congregants than men and those women do have sort of a place of honor and a de facto deacon kind of role within the church. You hear of some churches call the older women Church Mothers and they sit on the first pew and they wear a white suit and they really are elders. It's this place of honor. Yet at the same time, there are still black churches that are very traditional about having a man in the pulpit. Some that still follow a very strict sort of Baptist idea that women should not be preaching from the pulpit, at least that straight up Baptist concept. It's really interesting to see that sort of juxtaposition, that women are there and they're honored and they're very much church elders but they're not necessarily seen as clergy leaders. That's been interesting to me. Yes. It's interesting to me too because the women traditionally in black culture in America at least, and you go into this in your book, in the slave society, the women had to be the strong ones. For very good reason. The men might have been shipped off as a slave to another family, another plantation, or whatever the slave owner wanted. So, the women have kind of held everything together. And to a large degree, they still are. Yes. Yes. You know, and that's something that as a black American woman, has always been very apparent to me and also very curious to me, as to why that is. I do get into it a little bit in the book. Just a general structure of our families was so broken by slavery that different roles had to come up. But I do still see that the black woman has a really strong role in our families and in leading our society. If you look today at some of the social movements, at people who are showing up to the polls. I know we just recently had an election where there's been a lot of talk about the black female vote making a big difference, down in Atlanta with the election of Doug Jones, but for some reason that strong black woman identity has just remained very true for us, and I'd say for better for worse. While it is very empowering, in certain areas and in certain respects, I believe that it also can be a little bit limiting for those times that you just don't feel strong, or you don't want to be strong, or you need someone else to help you pick up the slack. I know that that's something that many black women that I've talked to over the years certainly relate to. I'm going to switch gears here on you because of my own personal interest. Quite frankly we do a lot of this on this show, the historical Jesus, because I'm fascinated with the studies there. There's a great deal of interest in learning more about not only this historical Jesus but obviously that has to include his historical parentage and family. What are your thoughts on the importance of searching for that side of the story, the historical side of Jesus and in that vein, what about the historical Mary? Right. Right. You know there has obviously been a very large interest in the historical Jesus over the last couple of centuries in theological circles and I think just in the culture. For me, what's important about the historical Jesus is that it grounds him in his fully human aspect, you know fully human fully divine. It's easy to think of the resurrected Christ as this very supernatural being that we aren't able to fully grasp. When he's human, when you know that he was actually walking in these areas that are mentioned in the bible that he was interacting, that he was a real figure that has endured for thousands of years, for me that really just grounds him in the human side of the incarnation which is important. I think using Mary in the same regard has been also very important to me. To remember that she was human. She was a mother. She was vulnerable. She was likely very young and she was a woman living in the margins. I think that for me, in terms of my Christian faith, there's no coincidence that that's the type of woman that was chosen to be the incarnation, the God-bearer. Searching for that human Mary, I believe complements the search for the historical Jesus by bringing him down to earth by having a mother who cares for him and that worries about him. I think a lot of, in the gospels, there are a lot of spaces where Mary is not saying all of what she thinks. You know Mary pondering is something that comes up and we don't really know what she was pondering about because she wasn't at the center of the story. For me personally, becoming a mother, it really made the way that I view Jesus and his crucifixion very different, very real, and it made me really also think a lot about the other women in the world who have experienced losing children. We all say that parents aren't supposed to bury their children, and especially if we're talking about a violent death or a state sanctioned death. I think as a black mom, living in this current time period in the age of Black Lives Matter and Treyvon Martin and Tamir Rice, that all just naturally rolled up into a ball with Mary for me. I think that really thinking of that political violence also has been an important piece of the puzzle. I agree with you, and I really enjoyed your book. I wanted to tell you that. It exposed me not to something new, but I had to think about things and that's the best part of being a great author. That's wonderful. In fact, I'm going to take that into another modern phenomena that we're just living through today, and that's the avalanche of news and the media about powerful men that abused and bullied women without their consent, especially in the political and entertainment world today. While it's been commonplace for Protestant Christians to simply accept Mary's conception as a necessary part of the story of Jesus—I mean he had to have a mom as a means to an end—is there a concern about the fact that his conception may be seen as a sexual violation of a young woman? I mean she was probably 12, 13? How do Christians who are against sexual violence, how can reconcile that in this whole story? That's a very good question and I think that the important, the first important point for me, is to start looking at this as a Christian tradition, and as a church from a place of knowledge, that there are women who have been victims of sexual violence as children and as adults and so what is a happy story for many of us with a manger and donkeys and all of that, it can evoke some really serious trauma for certain people. I think that this issue with Mary and the conception is one that is easy to want to skirt around because there's not necessarily an easy answer. For myself, I spent some serious time thinking about this while I spent time with Mary writing this book. Is the idea of the fiat, the idea that when the angel comes to her and presents this situation, that she, she hears it. She questions first. How is this going to happen? I am but a virgin. When she's given the answer, then she accepts it. I think that looking for an emphasis on bravery and choice versus submission and obedience, really can be the nuance that matters here. You can take the, how you tell, there can be several ways to tell the same story. And how you translate it and which words you choose can make all the difference. I think that this idea of submission and obedience are two words that I've heard a lot and that I've read a lot in relation to traditional writings about Mary and talks about Mary from males, and priests and male theologians. But for me, I relate to the fact that having a kid was really scary and I was 27 and married and able to go to a hospital. All of that good stuff. The fact that there was this vulnerability that was unlike anything else that I had experienced and so it really did make me take what she went through seriously. I do think that it's something that we shouldn't ignore. For the sake of the people in the church who have been experiences of sexual trauma, we cannot ignore it. I'm going to ask you on a personal note, has motherhood affected your spirituality and your belief in Jesus? Oh absolutely. It absolutely has. As someone who sees herself as a womanist and as a feminist, I know that using motherhood to define women as something that we need to be careful about, not sort of forcing upon other women. But for myself, motherhood has absolutely made a difference and I think it has to do with that relationship between Mary and Jesus and it's made Jesus' death and resurrection something that I'm more able to grasp. I can think of two episodes in the gospels that are poignant and involve Mary. The first is told in the gospel of Mark. The first, he tells the story of Mary, and the second, the story of Jesus' mother and brothers coming to find him. Reading this in context, I think they were coming to try and talk some sense into him. I'm sure that they had heard stories about his wild talk, about the kingdom of God and maybe even that he was in some way the expected one, the Messiah. After all, he had just been chased out of his own hometown of Nazareth by people from his own village. I think that his family would have been aghast, humiliated, and greatly distressed with his speaking thus. I think they wanted him to give up this crazy talk and come home and help support the family. After all, he was the eldest son. “He looked at the people around him and said, ‘Who are my mother and my brothers?’ Looking about at those who were sitting around him, he said, ‘Behold. My mother and my brothers.’ And his family went away.” That must have been so hurtful for her. She was his mother and she loved him. The second episode is at the cross. There before her was her son, suffering a horrible death at the hands of the Romans, dying. All she could do was sob. Right. I agree. And I also have really been struck by that story of when Mary and some of the brothers come to look for him. That that would be so hurtful. Again, talking about the human Jesus and the historical Jesus, and the historical Mary, she probably saw the writing on the wall, for where things were going with this very sort of radical movement. I think for any parent to hear something like oh this is my new family now, that would be very hurtful. I think that I've had to roll some of the things that Jesus says around. You know like this is my family now and you don't get to bury your dead and you need to take up your cross and give everything away and follow me. I think that it's something that's made me really take stock of how serious the Jesus movement was and how seriously he needed people to take it. But you're correct, that at the end, it's the mother who is standing there and watching. That has really made the story much bigger for me. Yes. Yes. I think and as a parent you can see that. I mean we have lost a child, a grandchild the day before her second birthday. You don't expect that. I'm old. I can understand my own death, but it's hard with a child. I can imagine if one of our children, yours, mine is suffering like that because that was an ignominious death. Crucifixion was the worst of the worst ways the Romans killed people. It was not a pleasant sight, and often they suffered for days before they died on that cross. It was a tough, tough time. Yes. It makes you think. It really makes the tremendous sacrifice that Jesus took and that everyone else who loved him went along with, like his mother as the cornerstone of this faith. It's easy to have what I've heard called sort of a golden ticket Christianity. You know, Jesus died for our sins and now we're all good. That's all that needed. Yes. That's it. But there was some really brutal, painful ugly things that had to happen to make that possible. Yes, and in some way, that's probably been a connection there because of the suffering that the blacks endured for so many years and they could relate to Jesus. That's probably why they relate more to Jesus than Mary I would guess. Yes. Yes. Absolutely. I've had debates with friends and colleagues about the fact that I have a Christian faith and that it, in light of the history of blacks in America, that it could be seen as something that was forced upon us. But for me it really has been a source of strength and a source of pride, in using Jesus as that, as that divine co-sufferer, and it also reminds me that Christianity, it doesn't belong to white people. It doesn't belong to Americans. It's a world religion that I am proud to be a part of. That's been something that's important to me as a black Christian. Yes, it is colorblind and it has been for 2000 years. It's in all lands. We don't all look the same but the faith is in all lands. I find that freeing, personally. Oh my gosh. There's so much more. You know what I'm going to do? I'm going to have to temporarily say goodbye because this episode is over, but folks, if you're really interested, I'm going to ask Courtney, if she would stay a few more minutes? We're going to talk about something that was surprising to me. Mary in the Islamic faith. That we will record as a bonus section. Would that be okay? Oh thank you Ron. It's been a pleasure. All right. That’s it for now, folks, unfortunately it's my job to watch the clock so I'm going to have to bring this wonderful time together to a close. But folks, you can continue to read even more. You can tell this is, this is a fascinating book. If you click on the cover, right on the website, the cover of Courtney Hall Lee's book, entitled Black Madonna. It's on the website right beside where you're listening to this interview, it will pop you right to where you can buy the book. It's a fascinating read. Courtney's book makes the history of our faith and the faith of Jesus and more importantly Mary his mother come alive. Perhaps just perhaps we can add a little more understanding and love into God's message to mankind through Jesus. Thank you Courtney Hall Lee for joining me today on Author Talk. Thank you for writing your book. I really appreciate it. It's the Black Madonna. That's all you have to remember if you're searching for it in Amazon, Black Madonna. By Courtney Hall Lee. 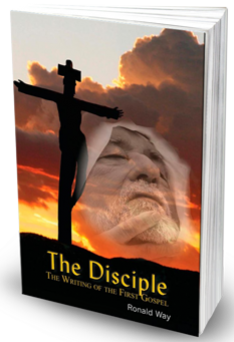 It will help you more fully understand the formative character of the mother of Jesus, Mary of Nazareth, and her role in the influence of Christianity. For now folks, that's it. I'm going to have to say goodbye. Until next time. This is Ron Way, faithfully yours.